Living in Australia it’s difficult to get into the Christmas spirit when the mercury level is up in the 30s and 40s, and for those in Queensland the hot and humid days are met with tropical thunderstorms. We don’t live in a country where our Christmases are white and nor can we ever dream of having one. The only way it truly feels like Christmas is if the air conditioner is turned on full blast and Christmas music is playing. If you are looking to escape the warmer climate in the next few years and would rather opt for a colder Christmas like the ones written about in storybooks, then here are my top picks for where you should spend the silly season. The main attraction to a Christmas in Vienna is the magnificent and abundant amount of Christmas markets (Christkindlmarkt) that this city has on offer. Everywhere you go at this time of year you are bound to run into some markets or stalls. The markets offer hot gluhwein (mulled wine), delicious traditional treats such as apfelschmarrn (Austrian scrambled apple pancakes – sounds weird but they are delicious) as well as beautiful handmade gifts and decorations. The markets run from the last week in November until just after Christmas. Popular Christmas markets include those in front of Schönbrunn Castle, which itself is a beautiful backdrop for the festivities and near Rathausplatz, where trees in the nearby City Hall Park are festively decorated and illuminated. For something a little more charming, try the street stalls in Spittelberggasse near the MuseumQuartier. The stalls are in narrow, cobblestone streets amidst restaurants, bars and studios. Whichever markets you choose, make sure to rug up and have a few drinks, whether it’s gluhwein or hot chocolate to keep you warm. Prague is one of the most beautiful cities in Europe and most of the old town still exists in its original albeit somewhat aged condition. Christmas time only emphasises the city’s beauty and it is a great time to enjoy some of the traditions that the Czech Republic has to offer. The main square in the old town exudes festive magic and is filled with wooden huts that like most other European Christmas markets sell traditional food including my favourite, trdelník (a sweet pastry coated in sugar, cinnamon and nuts), handmade wooden toys and Christmas ornaments amongst an array of other goodies. For the little kids there is a stable with sheep, goats and a donkey. A huge Christmas tree – one sought after for months across the entire country – illuminates the square while caroller’s serenade you with Christmas songs. 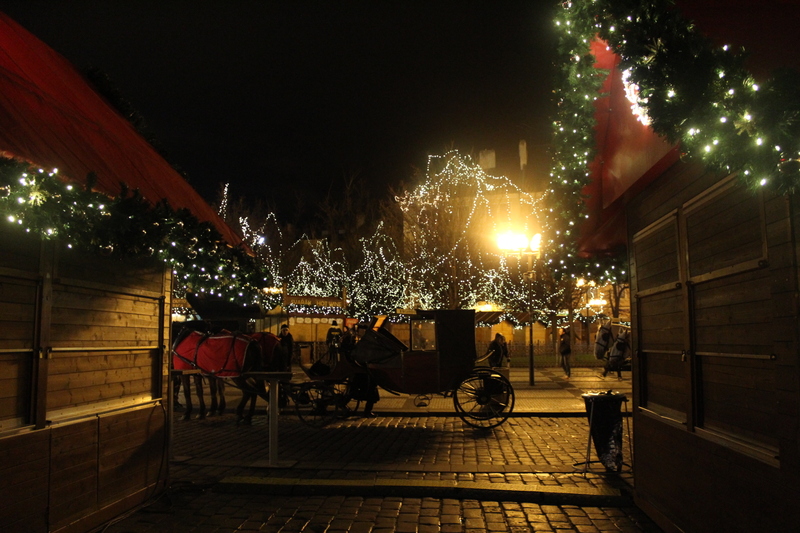 If the markets have tired you out, then you can take a horse-drawn carriage around the old town and admire the incredible architecture of the city or if you want to try some other markets within walking distance, other popular ones can be found at Wenceslas Square, Republic Square and Havel’s Market. Many restaurants offer traditional Czech meals at Christmas time so if you’re feeling adventurous, book yourself a table at one close to where you’re staying and enjoy the traditions of another country. Then afterwards, make your way to the old town square, down the cobblestone streets, lit up by the festive decorations and enjoy an after dinner delight such as a nice cup of svařené víno (hot wine). Have you always wanted to visit the Alps but haven’t been sure of exactly where you wanted to go? 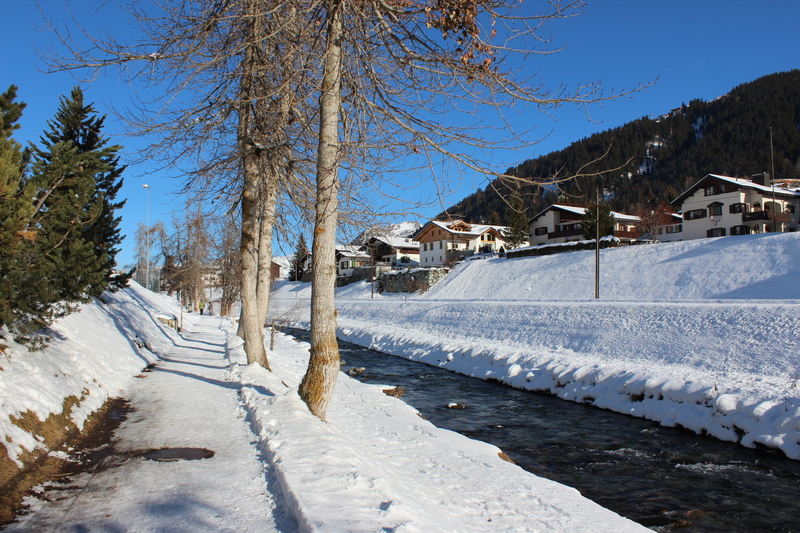 Then look no further than Klosters – a picturesque town in the middle of the Swiss Alps. It’s the royal family’s first choice when they want a skiing holiday (remember ladies, Prince Harry is still a bachelor so be on the lookout) and the houses are mostly untouched by modern architecture with traditional ski chalets lining the mountainside. The views are stunning and you will most definitely find yourself channeling your inner Daryl Kerrigan by uttering, “ah…the serentity” a few dozen times. The weather may be freezing cold but the fireplace and hot cocoa post-skiing will be sure to warm you right up. Just make sure to indulge in two of Switzerland’s finest – fondue and chocolate! My dad’s job has taken us to a few cities over the years and from December 1997 to January 2001 I called Vancouver my home. While living in Vancouver, I was lucky enough to not only experience my first snowfall (one that I will never forget) but to also have four white Christmases. I know it’s a little biased for me to include Vancouver on this list but it is one of my favourite cities and around Christmas time, the city and its surrounds are transformed into a magical winter wonderland. Downtown Vancouver features their version of German Christmas markets with stalls being set up near Queen Elizabeth Theatre Plaza. 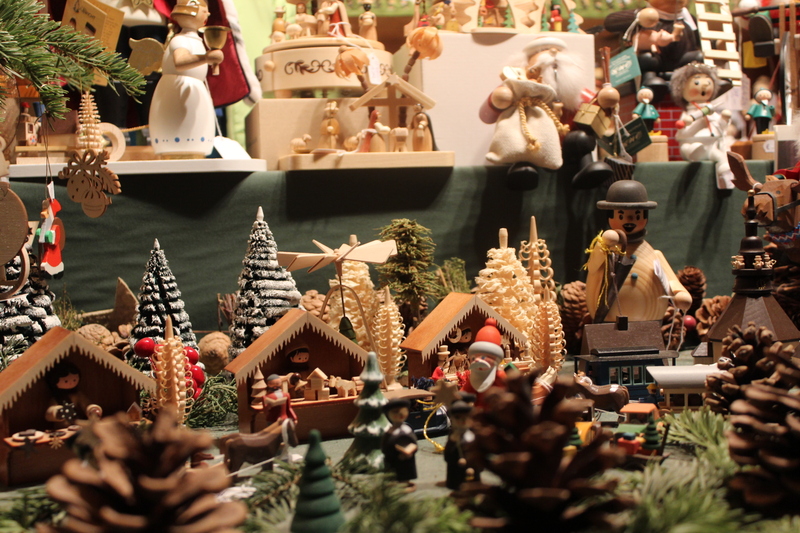 The markets run from the end of November to December and features unique holiday shopping, German-style ornaments, plenty of festive music and entertainment as well as traditional holiday food and drink. For a more authentic Christmas experience, head up to Grouse Mountain where the kids can wander around Santa’s Workshop, meet the reindeer and go on a sleigh ride or go ice-skating on the ice rink surrounded by dozens of snow-capped trees. During the night the trees of Stanley Park are lit up by over two million twinkling lights as it plays host to the “Bright Lights” festival. Kids of all ages can ride the train, watch animated displays while holiday classics fill the air, sip on warm hot chocolate or feast on popcorn or roasted nuts. If that isn’t enough to keep the little ones occupied, there are always the animals. Even if you go just for the lights, you’re helping a good cause as some of the proceeds from ticket sales go to the British Columbian Professional Fire Fighters’ Burn fund, which helps burn survivors and their families. I know what you’re thinking – Orlando? Theme parks? Christmas? Really? But before you brush this idea aside and place it in the ‘worst idea ever’ column, hear me out. Australian theme parks in December are packed with families on school holidays looking for a fun way to kill time and to escape the heat. But why would you want to be one of the sheep when just a few thousands of miles away lies the exact same thing – only way bigger, cheaper, with far less children and the weather is no where near as hot. Orlando has a plethora of theme parks just waiting for you to explore – Universal Islands of Adventure, Universal Studios, Epcot, Disney World, Disney’s Hollywood Studios, Disney’s Animal Kingdom, Discovery Cove…just to name a few. The parks are decked out in Christmas decorations with Christmas music filling the air (downside from personal experience – after a while, “Santa Baby” can become rather annoying). 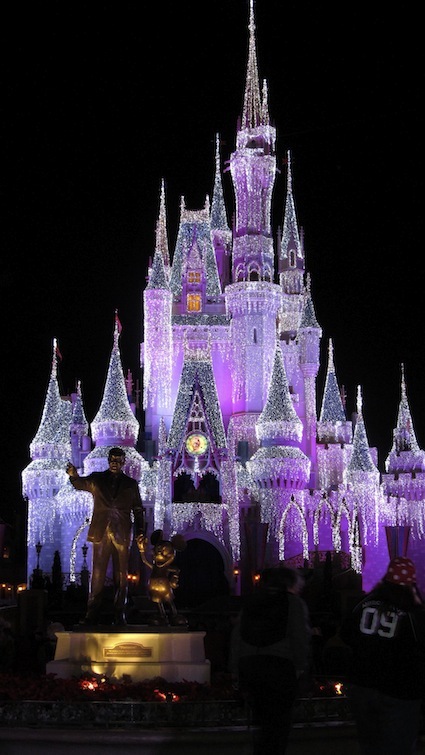 Each theme park puts on a number of special holiday themed events such as a 30 minute production of Dr Seuss’ How the Grinch Stole Christmas at Universal’s Islands of Adventure or the Christmas themed parade at Disney World where you can enjoy sugar cookies and sip on delicious hot chocolate while you watch the parade. Why not spend Christmas fighting alongside the Avengers or finally fulfilling your childhood dream of becoming a student at Hogwarts? If that’s not your thing, maybe you’d like to go on a magic carpet ride with Aladdin and Jasmin or escape to Wonderland with Alice? Either way, you would be hard pressed to find something that wouldn’t be of interest to each member of the family as each park has so much to offer, especially at Christmas time. And with Fantasyland, Disney World’s biggest expansion in 41 years having just opened up now is the perfect time to let your inner child run free! For those with actual children, you may want to keep them on a metaphorical leash, as the place is huge. To give you an idea of just how big it is you could probably fit the whole of Movie World in the car park alone. It really puts Australian theme parks to shame. Christmas is a time for family and to have plenty of fun. So why not spend it at the happiest place on Earth? No matter where you decide to spend Christmas, whether it’s half way across the world, in another state or at home, make sure it’s filled with plenty of good friends, your loving family and a lot of delicious food.